Zombies, Run! 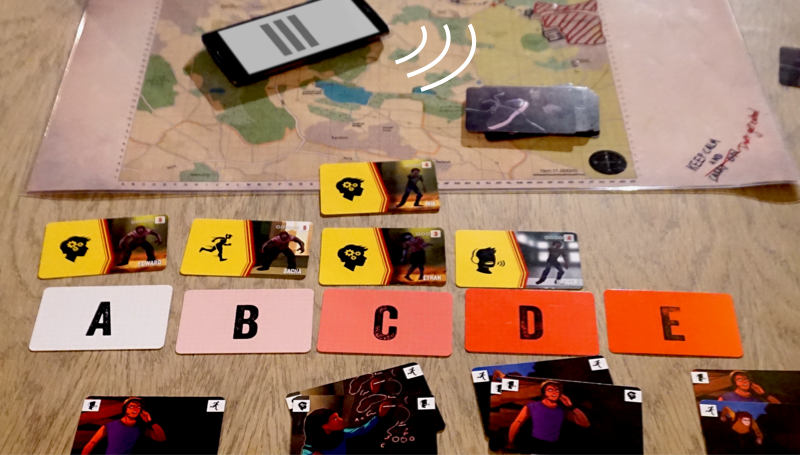 The Board Game brings the thrilling drama and rich audio storytelling from the hit fitness app to the tabletop. Players navigate a persistent world infested with zombie hordes, striving to collect supplies, rescue survivors, save settlements, and find a cure. 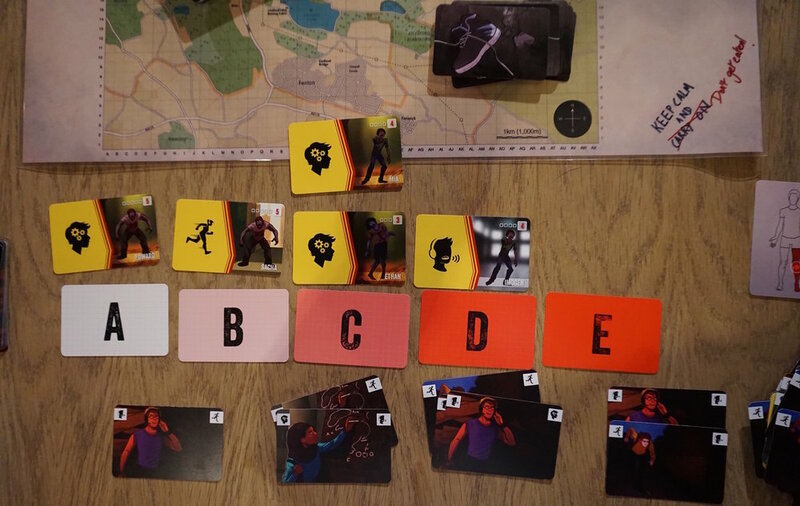 As players run across the map, they evade zombies in real time by building up chains of cards, while interacting with fully-voiced characters, thanks to the companion app. Each play session is as quick as 30-60 minutes, but an entire campaign can last well over 10 hours. With dynamic branching storylines, you'll need to play multiple campaigns to see everything. 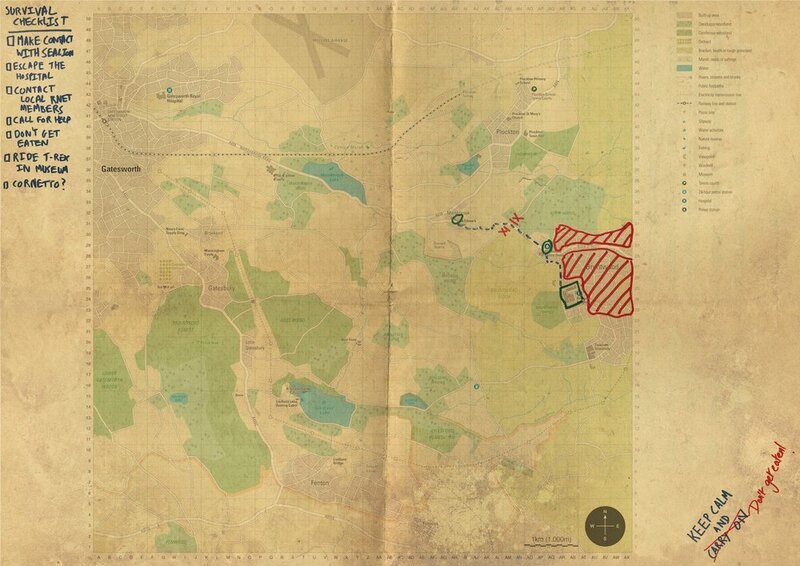 The box contains over 200 cards, character markers, an A2-sized map, and instructions. 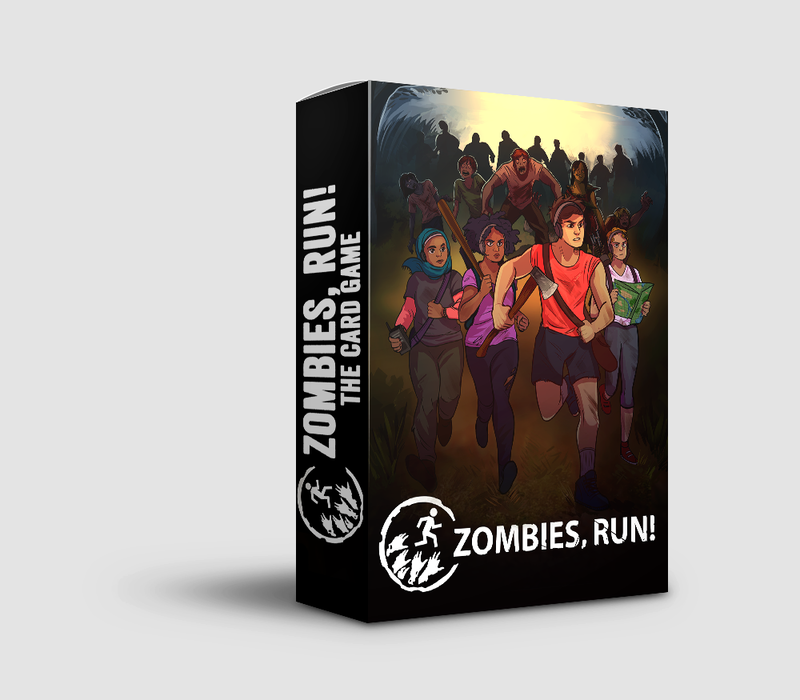 The game is based on the hit smartphone fitness game, Zombies, Run!, played by over 3 million runners. 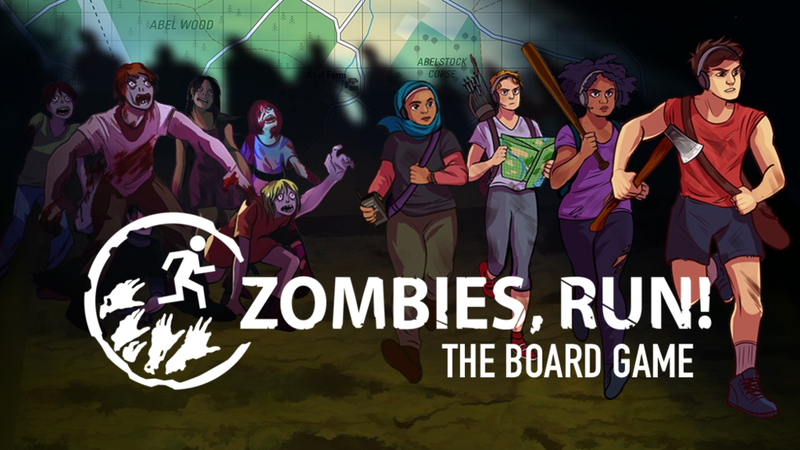 Six to Start are the co-creators of Zombies, Run! and The Walk. 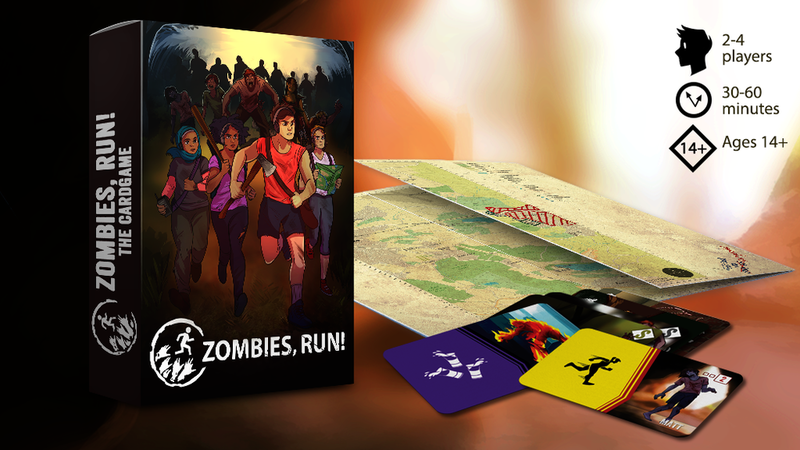 Originally launched as a successful Kickstarter project in 2011, Zombies, Run! is the world's most popular smartphone fitness game with over 3 million players, available on iPhone and Android. Development of Zombies, Run! The Board Game was part-funded by the UK Games Fund. Rich, Interactive Audio Narrative: You'll hear their voices of everyone you meet out loud through your phone, tablet, or bluetooth speakers – and their reactions, as you respond to them in real time. You'll hear sniper fire echo across the empty countryside. You'll hear the sound of zombies approaching, ever close. Your Decisions Matter: Everyone you meet, every injury you suffer, and every decision you make will have consequences. Be careful who you trust and who you betray, because it may come back to bite you. Persistent, Living World: Even when you aren't looking, we simulate the movement of zombie hordes across 100 sq. km of the world. You'll hear distress calls from distant settlements with zombie hordes closing in. If you don't get there in time, it'll be ugly - and you'll have another horde on your hands! Six to Start is an independent game developer based in London, specialising in storylike games and game-like stories. Their most well-known games include Zombies, Run!, the world's bestselling smartphone fitness app, and The Walk, the first smartphone fitness game funded by the UK's Department of Health. Six to Start was founded in 2007. It's made treasure hunts and games involving millions of players for Channel 4, the BBC, and Muse, along with cutting-edge fiction for Penguin and Macmillan that's been exhibited at the Museum of Modern Art. The company also conducts research and development for companies including Disney Imagineering, Microsoft, and the British Museum.